STA. 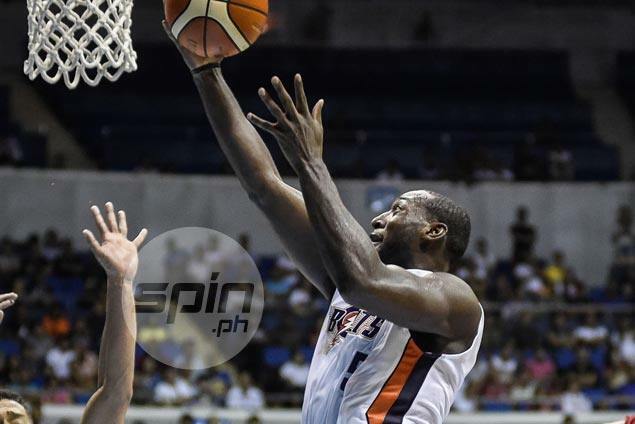 ROSA – Meralco refused to get riddled in a losing streak and at the same time piled up on Star’s frustrations with a 96-90 decision to formalize its entry to the quarterfinals of the PBA Governors’ Cup at the Sta. Rosa Multipurpose Complex. The Bolts banked on a strong start before holding off a late stand by the Hotshots as they atoned for a loss to TNT last Wednesday to register their sixth win in eight games after the Petron Saturday Special. Allen Durham put on another workmanlike effort with 29 points and 27 boards on top of seven assists, three blocks, and one steal, while Baser Amer and Garvo Lanete sparked the early surge for the Bolts, who also gained a boost from fit-again Cliff Hodge. The Bolts thus dealt the Hotshots their third straight loss that negated their victims’ four-game win streak to start the conference. “A lot of the teams are starting to rise to the top and if you want to stay at the Top Four, you have to play well every game,” he added. Amer and Lanete fired eight points apiece in the first quarter that ended with the Bolts on top by 17 points, a lead that grew to as many as 20 points midway through the third quarter. Malcolm Hill led the Hotshots with 28 points, 10 boards, and four steals, scoring half of his output in the final frame to lead his team’s late rally that fell short. Hill scored on a bucket that nudged the Hotshots to within six points, 85-91, with a little over a minute left, but Chris Newsome retaliated with tough layup conversion off a Durham feed that proved to seal the deal.